Engineering and design are converging. The latest technological developments in digital design tools have given web designers the space to be more creative and the courage to break a good few rules. As a result, design trends are coming closer to one of the main principles of contemporary art — the importance of providing a unique experience. Trends do not develop out of nowhere. Sometimes they are driven by technology and often they are recycled versions of older ones. 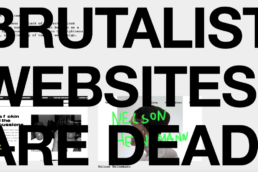 To understand new approaches to web design, it’s useful to go back to the avant-garde, an artistic movement that sought to experiment with form. By pushing the boundaries of the aesthetic norm while questioning the status quo, the movement achieved innovation, dramatically changing the experience of art for spectators. 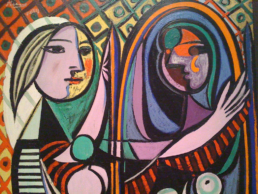 Take one of the most influential artists of the 20th century, Pablo Picasso. His exploration of Cubism broke away from traditional painting techniques, played with asymmetry, and juxtaposed geometric shapes with elements of collage. The comparison might seem far-fetched but the principles behind current trends are actually quite similar: broken grids, juxtaposition and overlapping of elements in collage-style, vibrant colours in unusual combinations, asymmetrical geometric shapes, expressive serif typography, and a preference for illustrations rather than the realistic depictions of photography. The most radical and disruptive approaches are brutalism and maximalism — that is, an overabundance of components in hyper-pastiche style. Both deviate from traditional design concepts and are highly influenced by hipster retro aesthetics. Trends are not always there to be followed but to push forward experimentation. 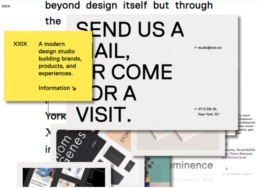 Some of these, like maximalism, definitely jeopardise universal design principals, i.e., accessibility for all abilities, which is why minimalist sites that favour a cleanapproach to user interface (UI) and user experience (UX) will always remain relevant. Nonetheless, some of these more disruptive tendencies will come to dominate the arty web design landscape. Illustrations can also be fully tailored to suit a brand’s tone, adding a more humane and approachable element to its identity. All these new trends seek to provide hyper-dynamic, interactive experiences, drawing on surprising elements designed to capture attention. That explains the increasing emphasis on UX copywriting within an overall content strategy when designing user experiences. UX copywriting not only provides valuable content for important touchpoints (helping users to achieve their goals), it also embodies a brand’s voice, and it’s becoming ever more relevant as chatbots become more sophisticated. There are no rules of architecturefor a castle in the clouds. Micro-interactions are also having their moment. Popularised by Facebook, they allow users to express a reaction (emoji), thus interacting with content in real time and providing immediate insights into their activity. Importantly, these interactions do not break the communication cycle as they don’t require reloading a page, a crucial detail in mobile UX. The era of experiential design is here, and with the rise of virtual reality, artificial intelligence, natural language processing and automation, we can only expect more personalised, immersive experiences in the near future. Are you ready?